A 1970’s commercial and its infectious jingle touts the quintessential Americanness of baseball, hot dogs, apple pie and Chevrolet. (For a trip down memory lane, click here.) I’d argue that ice cream is as beloved here as hot dogs and apple pie, though its popularity predates America. 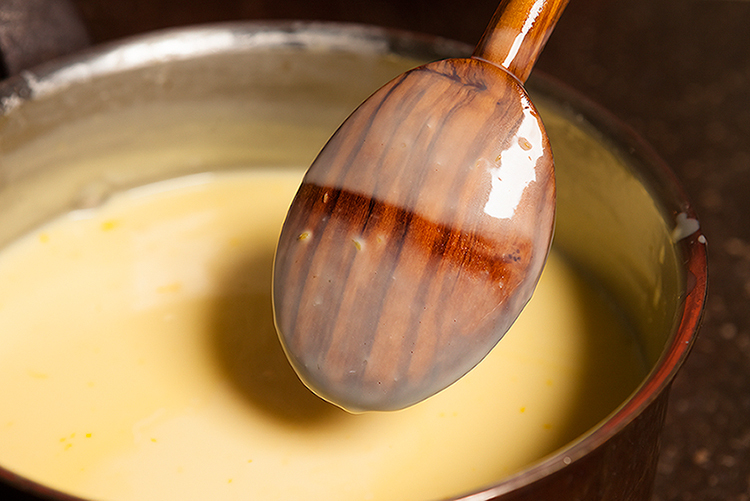 It was served in the court of Charles II of England, who reigned in the 17th century. 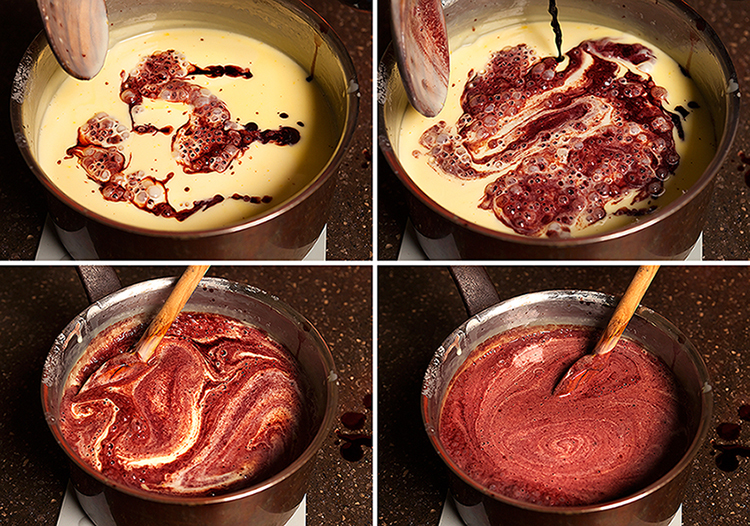 Of all the ice creams I’ve enjoyed in my life—and I come from a family of ice cream lovers (my grandfather Gordon was known to enjoy a nightly bowl of vanilla ice cream before bedtime)—I think red-wine ice cream has to be among the most decadent in terms of complexity of flavor, luxuriousness of ingredients, and cost per bite. 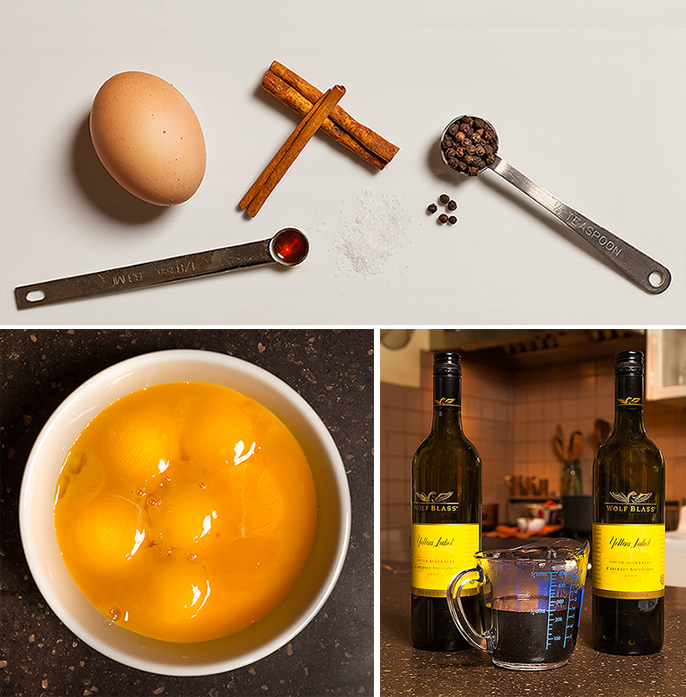 A roughly two-hour process (not including additional hardening time in the freezer), it’s made with nine egg yolks, heavy cream, whole milk, two bottles of cabernet sauvignon (each reduced down to one-eighth of its original volume), cinnamon sticks, a dash of whole black peppercorns and a dash of pure vanilla extract. It’s the Champagne of ice cream, to be savored on special occasions. I’ve served it frequently at dinner parties and intimate gatherings, including a social I hosted for my small residential co-op. But gifting a pint of it to my friend (and neighbor) as a birthday-and-congratulations-on-the-bar-opening-gift, packaged in a Chinese takeout container, was a first. 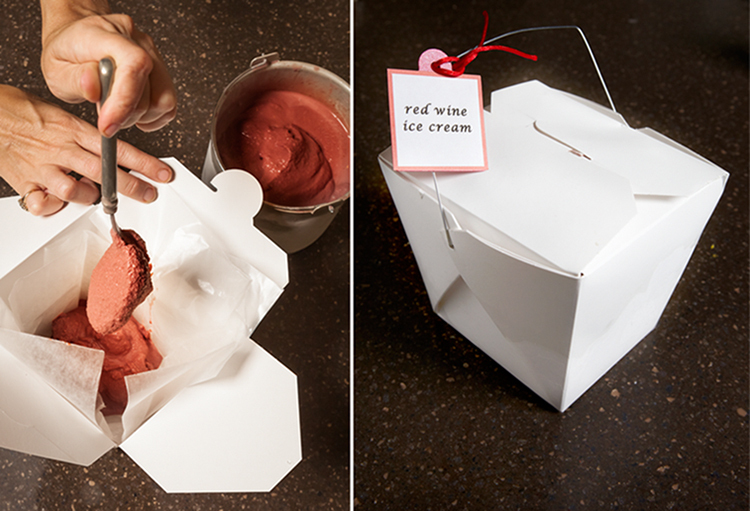 If you need a gift idea for the person who has everything (and you live sufficiently close by for a handoff before it melts), it’s hard to top homemade red-wine ice cream. I think even Charles II would agree. If you are in the market for an ice cream maker, check out this site. The first two listed are brands that Cooks Illustrated, my favorite food magazine, also recommends in its 2010 review. 64-ounce paper Chinese takeout container, available at Pearl River Department Store for $1.25.